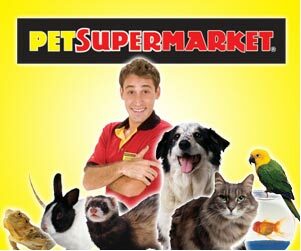 The goal of this meeting is for the client to explain all the home ad pets routines. During this time, the Client Profile, Pet Profile Service Agreement, and Cancellation Policy will be reviewed. Consultation is a $25.00 charge at the time of your consultation. Any follow up consultations need is $15.00. Two copies of your house key must be provided with Full payment. The first meeting is complimentary. If a second consultation is requested for any reason after the initial, we would be happy to come by and there will be a full visit charge. All payments are made during the consultation visit. Established clients will be invoiced and either credit card will be charged at the beginning of the week or arrangements made on monthly basis. Invoice will be subject to a $10.00 late fee for every 10 days the invoice is overdue. Payments can be made with Cash, Checks, Paypal Account, Credit Cards( We do use the Square as well as GoPayment). A handling fee ($38) will be charged on all returned checks. In the event it is necessary to initiate collection proceedings on the account, Client will be responsible for all attorney’s fees and costs of collection. In order to best serve your needs, the strict cancellation policy is as follows – Day Visits are subject to a two (2) week cancellation period. Overnight visits are subject to a four (4) week cancellation period. If you cancel within 7 days of visit, full payment is due. 7 days notice is required for cancellation of services scheduled for all national holidays. Any cancellation made outside 7 days for all national holidays will not be refunded. Keys – Retainage and/or Return. HWHD will retain two sets of keys to your home in our office. If keys must be returned, there will be a $10 charge for their return and a $10 charge for all subsequent trips. Recommendation is for three times a day on dog visits. The minimum allowed is twice a day. Once a day is allowed if we are only performing mid day visits. It will be the understanding that your pet has been taken out in the morning and evening. All cats will be visited no less then once every 24 hours but strongly recommended every 12 hours. No exceptions will be made. This is for the health of your fur-baby. Fenced in yards are great play and potty spaces for pets, however, no fence system is totally secure. Happy Walk Happy Dog Dog Walking & Pet Sitting Services LLC/Pet Sitter does not accept responsibility or liability for any pets that escape, are injured or become lost, fatal or otherwise, when pets are left out or given access to a fenced in area. This includes electronic, wood, metal, glass or any other enclosure types. Cages/crates are great secure spots for pets; however, no cage/crate is totally secure. Happy Walk Happy Dog Dog Walking & Pet Sitting Services, LLC/Pet Sitter does not accept responsibility or liability for any pets that escape, are injured or become lost, fatal or otherwise, when pets are left in a crate unattended or in a cage that is being improperly used or not sufficient enough for the pet. This includes metal, plastic or any other crate types. All dogs will be required to be on leash during outdoor walks. Happy Walk Happy Dog Dog Walking & Pet Sitting Services, LLC/Pet Sitter is not responsible for damage incurred by pet escaping because of a faulty leash or collar that is incorrectly fitted. Happy Walk Happy Dog Dog Walking & Pet Sitting Services, LLC/Pet Sitter will attempt to administer medications as directed but cannot be held responsible for complications that arise as a result. Excessively shy, aggressive or scared pets with medical problems can be a serious risk. If you have such an animal, this must be thoroughly discussed PRIOR to services rendered. Happy Walk Happy Dog Dog Walking & Pet Sitting Services, LLC/Pet Sitter will properly dispose of pet waste and do our best to clean up any accidents your pet may have. Happy Walk Happy Dog Dog Walking & Pet Sitting Services, LLC/Pet Sitter Pet Sitter are not responsible for carpet/flooring stains created by your pet(s). We do request that you provide plastic bags, towels, cleaning products, paper towels, trash bags and indicate where you would like the waste disposed of. Animals behavior can be unpredictable. Happy Walk Happy Dog Dog Walking & Pet Sitting Services, LLC/Pet Sitter does not accept responsibility or liability for animal behavior, normal or otherwise, which results in injury or death to the client’s animals. If your dog(s) will not let Happy Walk Happy Dog Dog Walking & Pet Sitting Services, LLC/Pet Sitter into your home, or prevent your pet sitter to provide routine duties, Happy Walk Happy Dog Dog Walking & Pet Sitting Services, LLC/Pet Sitter will contact you. We do not provide free or discounted services if the dog’s aggressiveness prevents us from performing our regular duties. In the event your dog bites or injures the pet sitter, you are responsible for all medical fees associated with their injury. Happy Walk Happy Dog Dog Walking & Pet Sitting Services, LLC/Pet Sitter is willing to work with you and your dog to ensure entry and services can be performed and this has never been a problem in the history of our company. All pets are to be currently vaccinated. 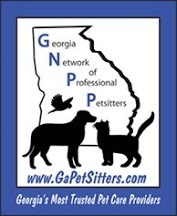 Should Pet Sitter be bitten or otherwise exposed to any disease or ailment received from Client’s animal which has not been properly and currently vaccinated, client agrees to pay all costs and damages incurred by the victim. You entrust Happy Walk Happy Dog Dog Walking & Pet Sitting Services, LLC/Pet Sitter to use our best judgment in caring for your pets(s) and home/facility if we are servicing you at the time of inclement weather. Happy Walk Happy Dog Dog Walking & Pet Sitting Services, LLC/Pet Sitter will try to carry out your instructions to the best of our ability. The care we provide to our customer’s pets and their safety is our first concern. We have requested that you provide the name and phone number of a person living nearby (with access to your home) in your profile in LeashTime. This should be a person close enough to walk to your home if roads are impassable (for example, a neighbor). If we are physically unable to drive to your home this information is needed so that we can contact this person to request their assistance to check on your pet(s). In the event that the client does not provide a nearby emergency contact with access to your home the client understands thatHappy Walk Happy Dog Dog Walking & Pet Sitting Services, LLC/Pet Sitter will provide service but not until conditions allow us to reach your home safely. 4) You will be called immediately and notified that our emergency plan has been activated. Any additional necessary costs such as food, litter, cleaning supplies or other necessary items that contribute to the health and well being of your pet will be purchased by Happy Walk Happy Dog Dog Walking & Pet Sitting Services, LLC/Pet Sitter We will retain a receipt and the customer will be responsible for reimbursement of these items. A trip fee will be applied. Client agrees to reimburse Happy Walk Happy Dog Dog Walking & Pet Sitting Services, LLC/Pet Sitter or expenses incurred, plus any additional fee for attending to this need or any expenses incurred. In the event of early return home, client must notify Happy Walk Happy Dog Dog Walking & Pet Sitting Services,LLC promptly to avoid being charged for unnecessary visits(s). Other fees for additional services or circumstances may apply. Any additional visits made or services performed shall be paid for at the agreed contract rate. Happy Walk Happy Dog Dog Walking & Pet Sitting Services, LLC/Pet Sitter is authorized to perform care and services as outlined on this contract. Happy Walk Happy Dog Dog Walking & Pet Sitting Services, LLC/Pet Sitter is also authorized by Client to seek emergency veterinary care with release from all liabilities related to transportation, treatment, and expense. Should specified veterinarian be unavailable,Happy Walk Happy Dog Dog Walking & Pet Sitting Services, LLC/Pet Sitter is authorized to approve medical and/or emergency treatment (excluding euthanasia) as recommended by a veterinarian. Happy Walk Happy Dog Dog Walking & Pet Sitting Services, LLC reserves the right to terminate this contract at any time before or during its term. If Happy Walk Happy Dog Dog Walking & Pet Sitting Services, LLC in its sole discretion, determines that Client’s pet poses a danger to health or safety of Pet Sitter, if concerns prohibit Pet Sitter from caring for pet, Client will be notified and given the alternative to authorize pet to be placed in a kennel, with all charges there from to be charged to client. Client authorizes this contract to be valid approval for future services of any purpose provided by this contract permitting Happy Walk Happy Dog Dog Walking & Pet Sitting Services, LLC to accept telephone/text reservations or reservations through LeashTime (online profile management/scheduling system) for service and enter premises without additional signed contracts or written authorization. Happy Walk Happy Dog Dog Walking & Pet Sitting Services, LLC agrees to provide the services stated in this contract in a reliable, caring and trustworthy manner. In consideration of these services and as an express condition thereof, the client expressly waives and relinquishes any and all claims against said Happy Walk Happy Dog Dog Walking & Pet Sitting Services, LLC except those arising from negligence or willful misconduct the part of the Sitter/Happy Walk Happy Dog Dog Walking & Pet Sitting Services, LLC.